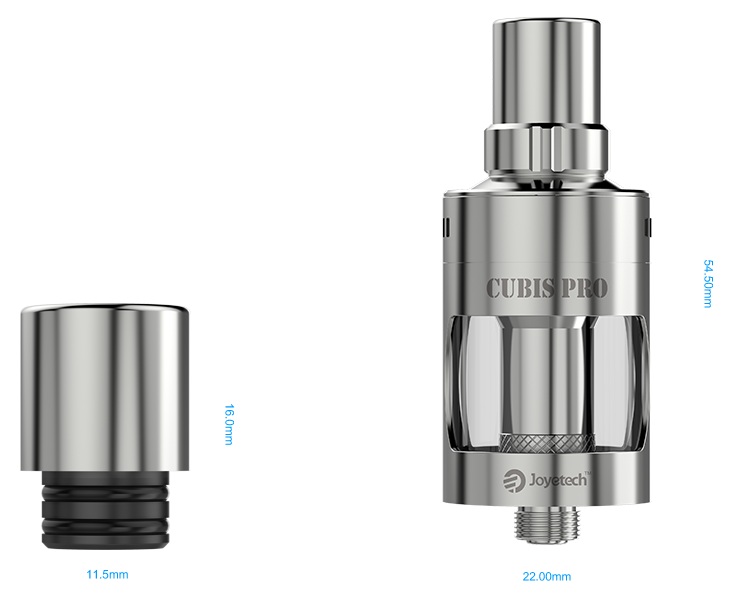 CUBIS Pro, adopts innovative and leak resistant cup design, whose coil replacement and juice fill can be achieved by removing this top section from the cup. 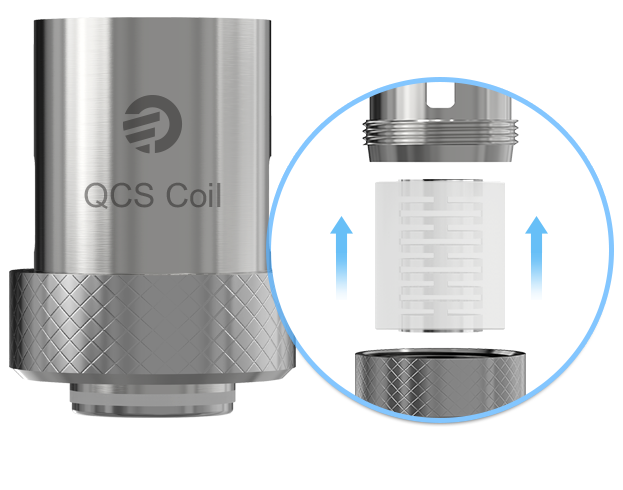 Airflow controls is also contained within the removable top tank assembly, meaning the possibility for leakage or coil flooding is greatly reduced. 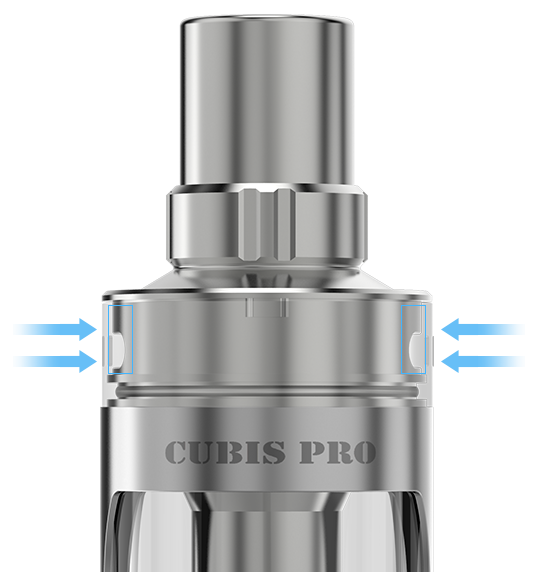 With the CUBIS Pro atomizer, you'll gain a perfect flavor and more precise vaping experience ever. 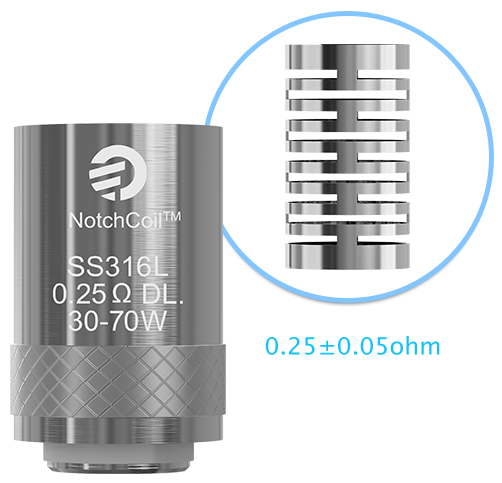 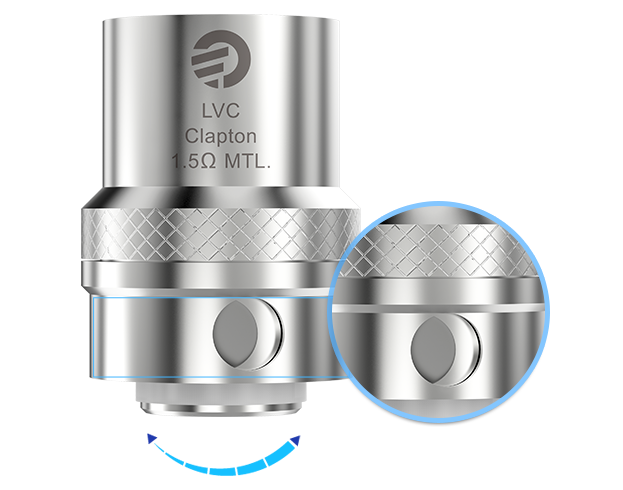 New CUBIS LVC (Liquid Valve Control) Clapton-1.5ohm head applies the liquid valve control system. 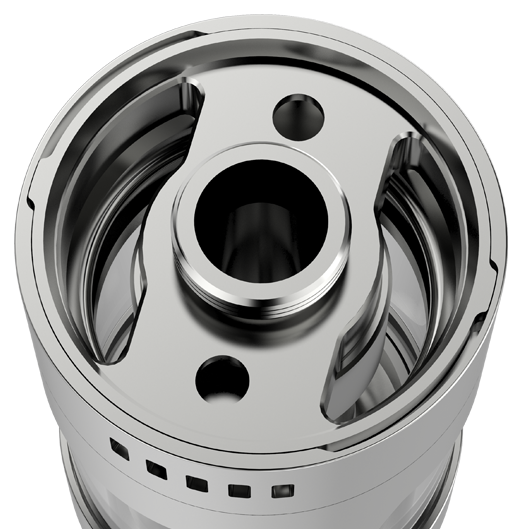 Simply rotate the ring on the base to adjust the valve.